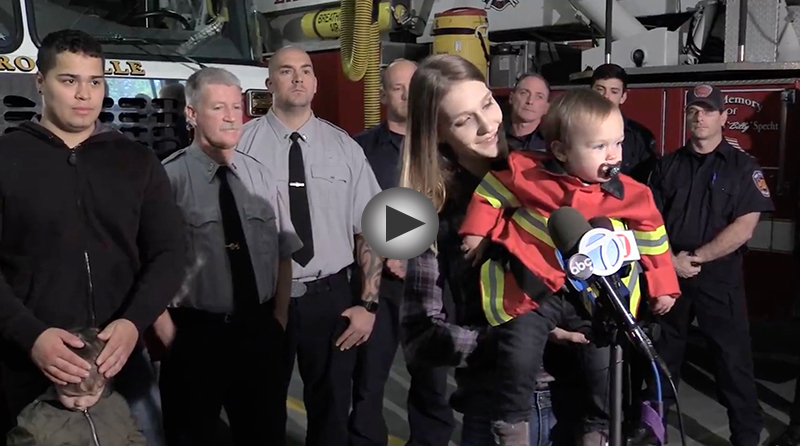 VIDEO UPDATE: In this video on LoHud, Lieutenant Tommy Moriarty vividly describes the crucial minutes where your firefighters revived baby Angelo. Then mom gives a gripping account of her emotional rollercoaster. NEW ROCHELLE, NY – A panicked family came running into the firehouse yesterday after discovering that their baby had stopped breathing. Your firefighters calmly took the unresponsive baby and started performing CPR. And then… the sweetest sound in the world: the baby started crying as he began breathing again! Great job by Lieutenants Tommy Moriarty and Joe Sinatra, and Firefighters William Colangelo, Peter Cordaro, Vinny Costa, Frank Gagliardo, and Ryan Pascuzzi. CLOSE Firefighters at Station 3 revived a boy on Monday night. NEW ROCHELLE – Firefighters revived a baby boy who was unresponsive when his mother rushed him to a New Rochelle firehouse on Monday night, officials said. A woman took her son to Station 3 at 756 North Ave. Firefighters revived a baby boy who was unresponsive when his mother rushed him to a New Rochelle firehouse on Monday night, officials said. “The little fawn was running around down there, panicking. We set up a rope and my crew lowered me down. I held it in my alarms and they pulled me up. Luckily, it seemed uninjured and ran off toward its mother as soon as we put it down.” – Firefighter Greg Rigos. Thanks to New Rochelle’s Talk of the Sound for the great video/photos! 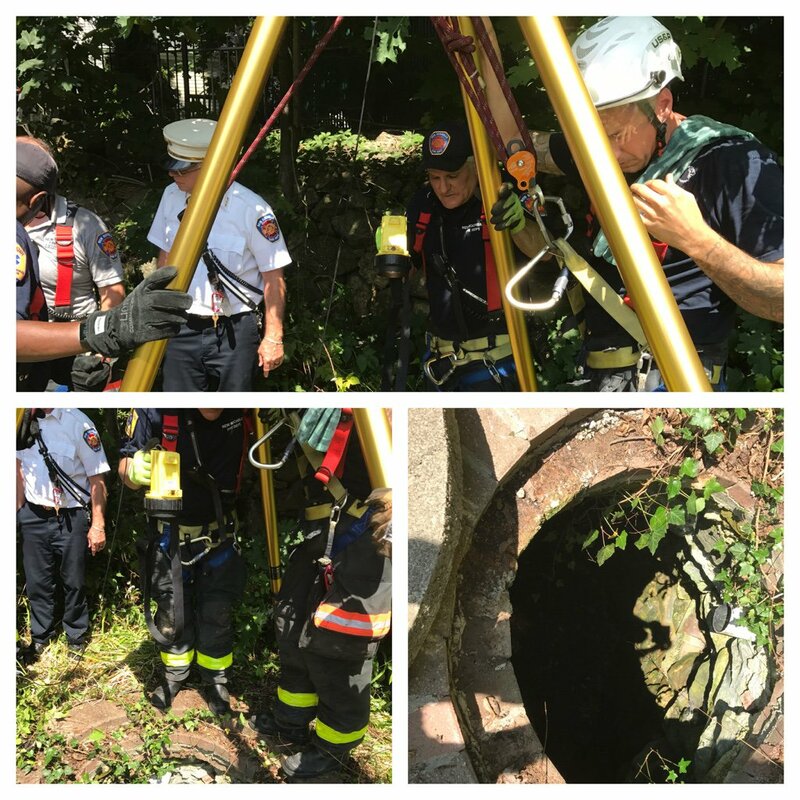 NEW ROCHELLE, N.Y. (CBSNewYork) – A small fawn was in big trouble Wednesday after falling into a well. New Rochelle firefighters rescued the deer from a 25 foot deep dry well behind a home on Pinebrook Boulevard. Firefighter Greg Rigos went down into the well to tend to the animal, which was crying for its mother. CLOSE NEW ROCHELLE – New Rochelle firefighters saved baby Bambi Wednesday afternoon. A fawn fell about 25 feet down a dry well on Pine Brook Boulevard. Fire Lt. Joe Oliva said a woman saw a fawn fall off a wall and heard it crying, so firefighters went to work. Several injured occupants, at least one reported to be critical, had to be cut out of their cars with the “Jaws of Life” last night after being trapped by a terrible car accident on Lincoln Avenue. Multiple ambulances raced to the scene, rushing the victims to the hospital after they were stabilized and freed from their vehicles by New Rochelle Firefighters. 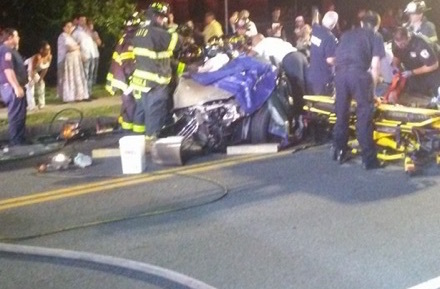 Five people were injured after two cars collided in Westchester, police said. A multi-vehicle accident occurred on 281 Lincoln Ave in New Rochelle Tuesday night, city police said. NEW ROCHELLE, NY — Five people were injured, one very seriously, in a violent collission between two cars in front of 281 Lincoln Avenue in New Rochelle earlier this evening. One person, described by paramedics on scene as “unresponsive”, was taken to Jacobi Medical Center in the Bronx.